Ask friends, relatives, and business colleagues about movers they have used and liked. Be careful about relying only on references provided by the mover (would they provide a bad reference?). Never, ever, do business with a company with only a phone number. Stop by (unannounced) to see their place of business. Look at their equipment and buildings: are they clean and well maintained? This is particularly important if you're placing your goods into storage. How about the employees: are they neat and clean? Are they answering your questions? Observe moves in progress: are the movers careful with the property they're loading? Remember, you're entrusting all your worldly goods to the care of these people. Is your instinct a good one? Be sure the mover you hired is licensed. The mover must show its license number in every advertisement. 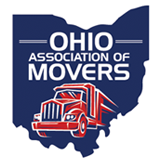 You may contact the PUCO or the OAM to verify the license and insurance and check complaints that may have been filed about movers in Ohio. Ensure who will be responsible for your move. Hiring an unlicensed person to do your move can set you up for grief -- you will have no recourse if things go wrong. If anyone is injured (workers or others) or if anyone else's property is damaged during the move, you could be liable. An unlicensed mover is breaking the law -- is that who you really want to trust with all your personal possessions? Avoid the "cheap guy" on the grocery store bulletin board or in the truck rental agency. It isn't worth it. Be sure you know the actual name of the company you hired. A mover's van line affiliation is only significant as part of a larger network across state lines. Nearly every van line agent is an independently owned company (like a franchise). On local moves and moves within the same state, each mover is responsible for its own business and should be licensed independently. Every van line agent has a "local" company name behind it, too -- that's the name you want to know. The salesperson should visit your home to look at everything you want to move. You should be asked questions about your new home, too, including stairs, elevators, low trees, etc. Be sure to show the mover everything you will be moving. The ease of your move and the final price will be determined by all these things, so don't hold anything back. Know that an estimate is not a guaranteed price. If you've been forthright about details, a good mover will come very close to the actual final price. It's a good idea to get estimates from at least three movers. Don't let the same salesperson give you an estimate from more than one company -- how reliable would it be? Consider more than just the rate. The lowest estimated price doesn't necessarily mean it will be the best move, nor does it mean that is the actual price you will pay. If you are quoted a price significantly lower than your other estimates, or if the mover throws in a lot of "free" things, be careful about choosing that mover. The service and overall quality of your move could be reduced, too. Know about loss and damage protection. Be sure you understand the type of loss and damage protection to which you agree in your bill of lading (which is your contract). Basic moving rates only cover a minimal amount of protection, because every customer has different needs based on the nature of their possessions. Some customers need $500,000 of coverage, while others might need only $500. Extra coverage (based on your own needs) will cost extra. This coverage may be in the form of insurance, for which you should receive a certificate of insurance, or in the form of "valuation," which is increased liability assumed by the mover. Ask your mover (or ask us) for the "Moving in Ohio" brochure prepared by PUCO to explain your options for Ohio intrastate moves. Options on interstate moves are similar, but the amounts differ. The time to make the decision about this coverage is before the move starts. Be careful about choosing the mover with the lowest price if it is significantly lower than your other estimates. The larger the "discount" offered to you, the less revenue the driver (who does the work) is paid. Big "discounts" could result in cutting corners on the quality of your move. Be aware of the law. Regulations for moving within the state (intrastate) are different from moving from one state to another (interstate). All states have their own requirements for intrastate moves, and some are more stringent than others. Check with the state movers's association or the state regulatory agency for more information. If your mover is taking custody of your property to place it into storage for you, be sure you know specifically where the storage will be. Inspect the warehouse. Are they taking good care of other customers' property? Be sure to receive a storage contract warehouse receipt, which will include a detailed inventory of your goods, specify the storage rate, loss and damage protection, etc. Never allow a mover to place your goods in a self-storage ("mini warehouse") or public storage facility in the mover's name. Be aware that a self-storage facility is similar to a nice garage. Extreme temperature changes, mice and bugs, and security should be considered. Be sure to receive a self-storage lease. You should have your own lock and key for this kind of storage, and you are responsible for any damage that occurs to your property.